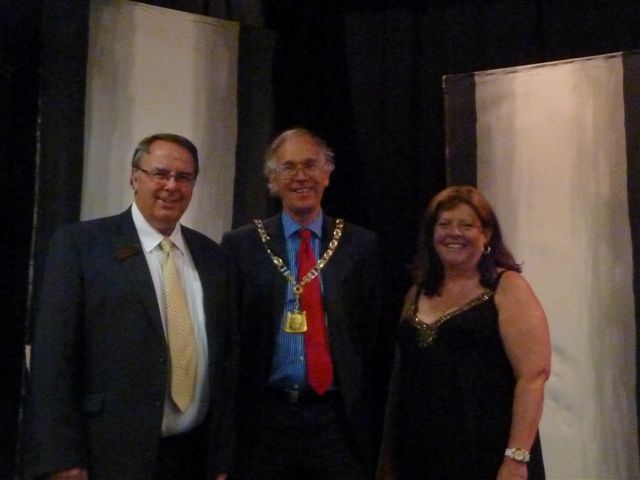 We were greeted by Steve Parker House Manager for Abbots Langley Players. We had never seen Bernard Shaw’s Pygmalion before. Also in the audience were the Chairman of Abbots Langley Parish Council and Richard Harrington MP (one of 3 MPs whose constituencies form part of Three Rivers) together with former Langleybury Ward Councillor Keith Peutherer. We really enjoyed the performance and appreciated the hard work of the actors and the many people supporting behind the scenes. It was very funny and a great evening out. After the production we met the cast and back stage team. So glad you enjoyed the show. We hope you get to see many more.